Valentine’s Day may be over, but its in-game counterpart continues after this long maintenance. For information on our latest update and more, please view last week’s maintenance post. In order to unlock Daily Orders, players must first clear the Tokyo Exploration (東京探索) Free Field quest. 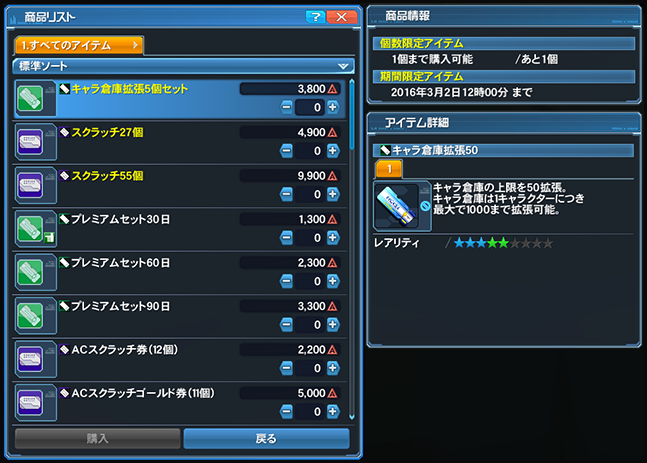 Keep clearing the Limited Quest in PSO2 to earn points and rewards in the ongoing PS Festa 2016 Web Panel Event! Sega will be delivering prizes this week in celebration of PSO2 winning the [Grand Prix] award in the 2015 Webmoney Awards! Hmm, about this Extended Maintenance… Why is it Extended this time? ._. Hi how do you unlock the end cinema on the episode 4 board #0-3 i believe the number is i have been running around and i cannot seem to access it, and lastly as long as the matter board for 0-2, 0-4 and N-3 are checked off i will be able to get the Soro costume? O-3 says “To Be Continued,” so it will unlock when they release the next story mission next week. Also, yes, as long as O-2, O-4, and N-3 have a check (ie. you watched the scenes) you will get the SORO outfits and accessory in one of the next few maintenances. That prerequisite applies to both Daily Orders and Featured Quests. New players can’t access Episodes 1~3 until they’ve progressed a certain amount into Episode 4. Sure is taking a while to remove that cake and heart from the second floor. Are we sure they didn’t wipe the character DB and are restoring it from 5.25in floppies? Maybe it’s Magatsu related? They only did one and people apparently DC’d quite a bit from it, so maybe they are extending it so they can work out the issues there? Given how in demand the EQ is in, it would only make sense to go with an extended maintenance. In fact the DC rate was pretty high in general since last maintenance so I assume there’s some problem with the servers. The Valentine’s Day event is still ongoing. We were talking about the actual Valentine’s Day that occurs offline. I don’t quite clear on web panel things. Is it mean that, Players have to earn points(Share Points) in order to unlock the rewards and Everyone will get the rewards if did the limited quest and chocolate, once. …just do both to be safe? The drops and whatnot aren’t bad either, anyway. you only have to do one of those two quests in order to qualify but it’s in everyone’s best interest to grind the event. i have to ask… i completed the story board with all my chars like 2 weeks ago and i dint get the SORO costume… is normal?? Two weeks seems to be pretty much the *minimum* delay to expect.